The Sandridge rail trail is a shared use path that connects Station Pier in Port Melbourne and City Road, just south of the CBD. It's a pleasant and convenient route, but it falls short of being a high quality off-road route. This path is well used by people cycling and walking. Shared path. When I rode this path on a sunny morning it was well used by cyclists and people walking, particularly older people. Shared paths are not ideal. People walking dislike cyclists riding past at moderate cycling speeds (20km/hr), while enforcing a "code of conduct" for pedestrians (e.g requiring that they stay left at all times, avoid walking in groups, and strictly controlling small children and dogs) destroys the pleasure of the walk. On the other hand, requiring cyclists to ride at slow speeds while passing pedestrians decreases the utility of this as a transport route. The best practice here would be to create separate paths for walking and cycling, where space allows. Path loses priority at Bridge St.
No crossing at Bridge St. This needs either a zebra crossing (raised) or a signalised crossing with bike/pedestrian priority. At the very least, it should have a "keep clear" zone to prevent vehicles from blocking the route while queuing (the gates of the tram crossing are just to the left of the view above). I'm not sure what works are being done here at Ingles St-- hopefully a better crossing! Rails blocking the path. At the tram depot, the path is blocked by yellow rails that are supposed to force cyclists to give way to trams leaving the depot. These rails slow cyclists down and are extremely difficult (if not impossible) for people towing trailers, or riding long wheelbase bikes, or riding trikes. A better solution would be to have gates that close when trams approach, leaving the path unimpeded at all other times. At the first tram depot crossing. At the second depot crossing. This gentleman told me that he'd recently slipped and fell on the tram tracks. Poor connection to the city. The trail just ends at City Road, with no clear safe connection across the river to the CBD. Almost at the city, but not quite! 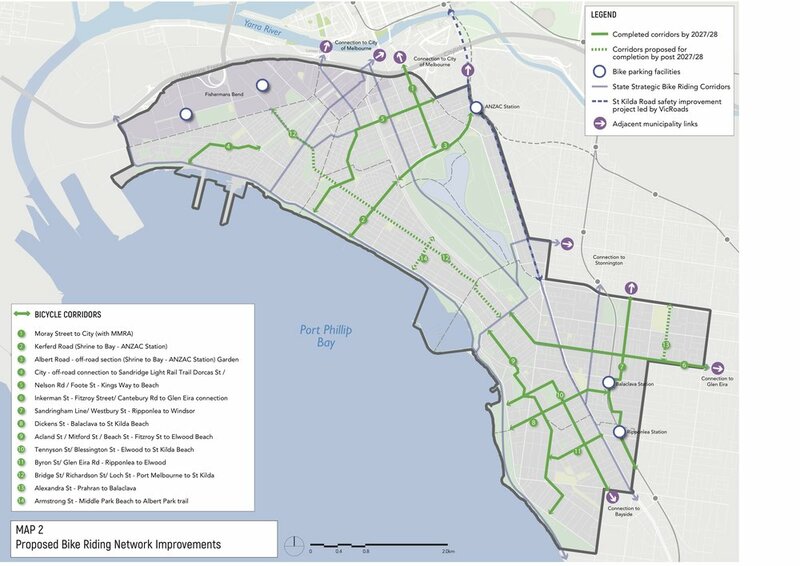 The case for Glen Eira Road/Neerim Road as a "safe cycling route"
Glen Eira Council is currently seeking community feedback on their Integrated Transport Strategy. The document has some good aspirations, including a shift to 50% active transport modes (public transport, cycling, walking). However the proposed actions are too feeble to deliver them. The most glaring absence to me was the absence of Glen Eira Rd/Neerim Rd from the proposed network of "safe cycling streets". *There is a very large distance (2.7km) between the nearest east-west routes, Inkerman Rd to the north and Dover St to the south, which would require a deviation of several kilometres for some cyclists. Since the most suitable trips for mode switching to cycling are those trips under 5km, this is a large distance. 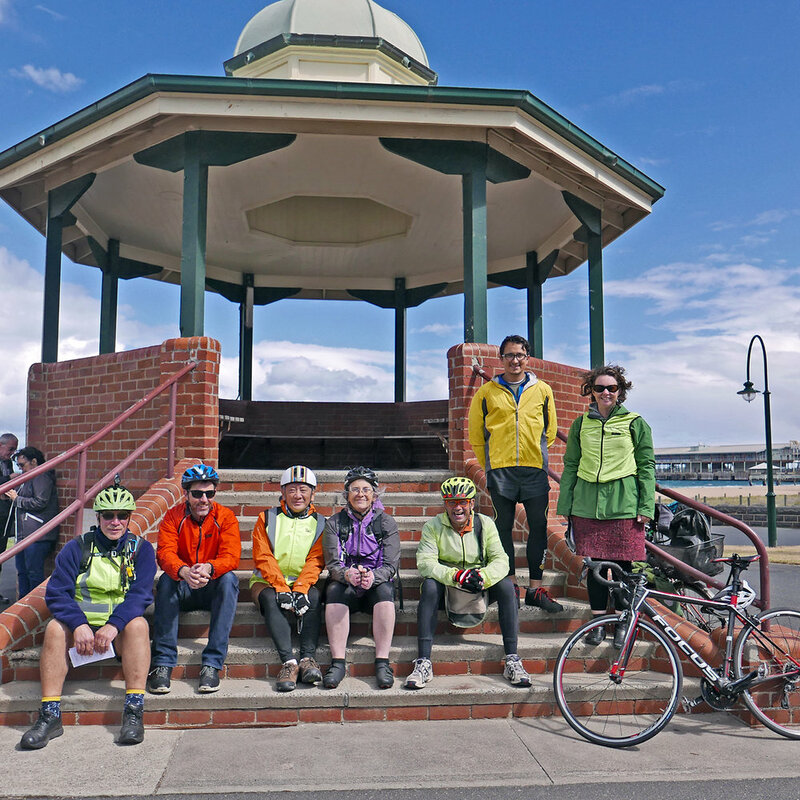 *This route was part of the Principal Bicycle Network. 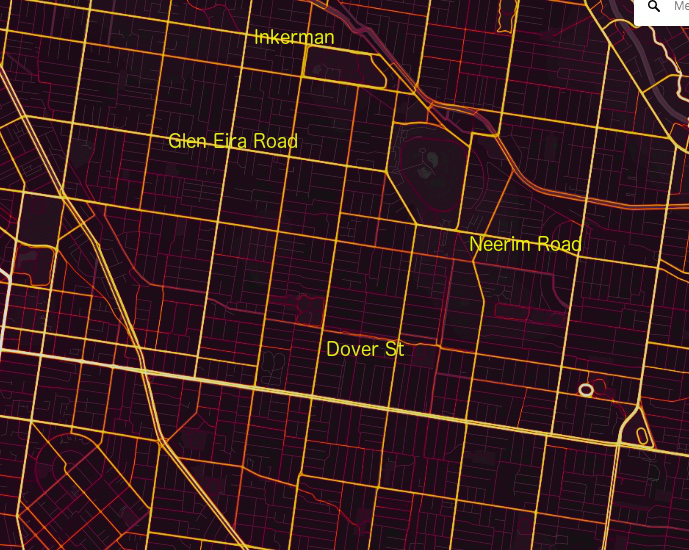 It is already a well-used route, as shown by the Strava heat map below, demonstrating the need for a cycling route here. * Glen Eira road is eminently suited for a main cycling route: it is very wide, has no tram tracks, and even with fully separated lanes, could still fit a lane of parking along one of the sides of the road. * Neerim Rd is currently very narrow, with bikes forced to take the car lane. Removing parking along this lane to allow a bike lane would increase traffic flow for cars. 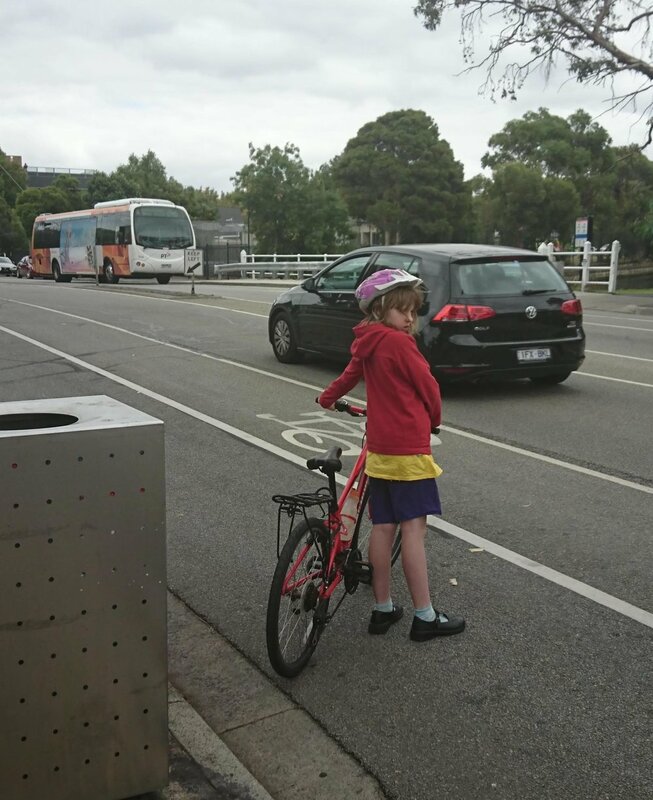 * This route has many schools along it (Ripponlea Primary School, Caulfield Grammer, Shelford, Glen Eira, Mt Scopus etc) with poor provision for safe cycling for the students. It's not clear how the 'Safe School Zones' will work for these schools with no east-west "safe cycling routes" closer than a kilometer away. *While ideally a completely protected cycling route (as described in the strategy) would be ideal here, a significant improvement could be made by merely removing parking, or even by removing parking during peak hours. In this way it would be easy to stage the introduction of improved cycling facilities. 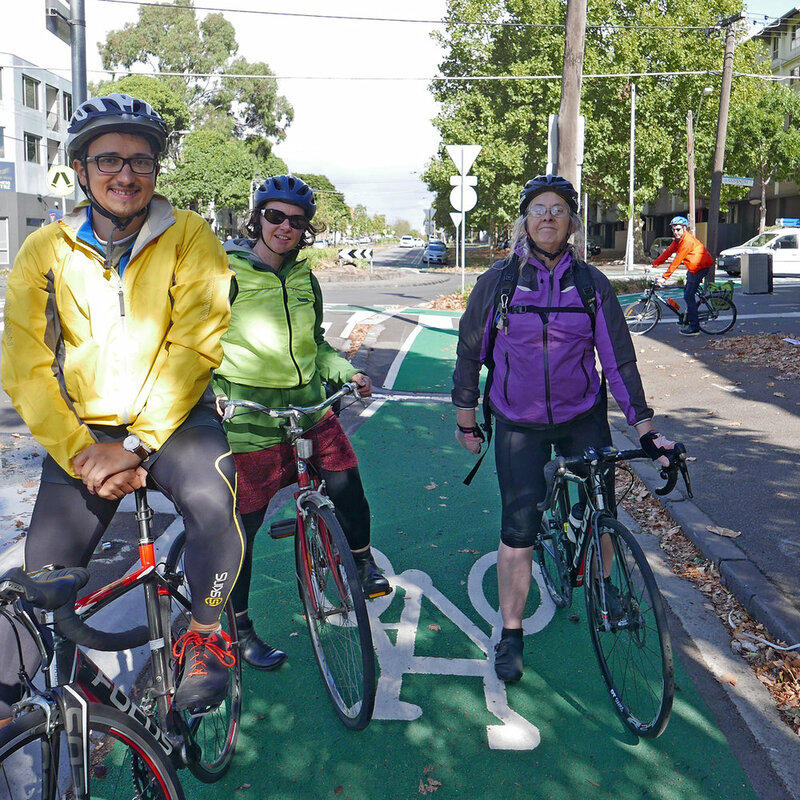 Make comments on the Glen Eira Integrated Cycling Strategy here. This route is well used.